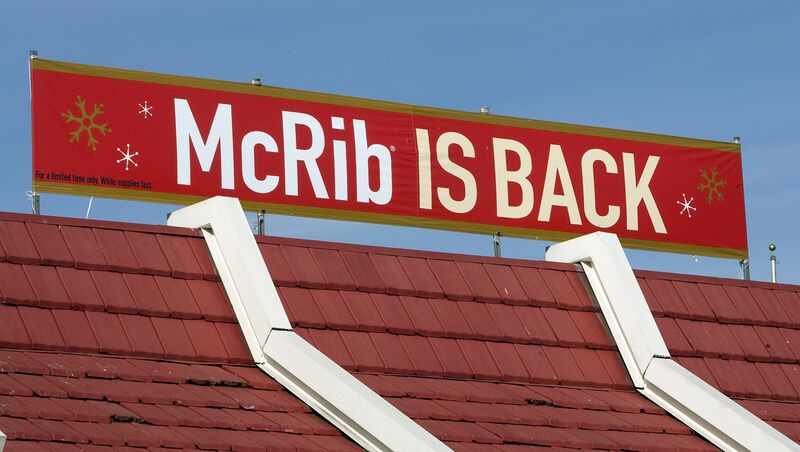 The McRib is back on McDonald’s menus after a year-long absence. While it has a cult following, most people don’t know what’s actually in the sandwich. Here’s the breakdown of the McRib’s ingredients and nutritional information. The McRib is back at McDonald’s, and while McDonald’s has other items on their menu that they occasionally bring back, like Szechuan Sauce, the McRib seems to have a very particular set of fans. The enthusiasm behind the sandwich partly stems from the fact that McDonald’s tends to bring back the sandwich about once a year, but as The Wall Street Journal reports, the McRib stays on the menu for only a few weeks, and it’s not always offered at all locations. It was last available in November of last year, and it originally hit the McDonald’s menu 37 years ago, in 1981. In the past, super fans have done things like pleaded with their city councils to bring the sandwich back, driven 10 hours to get the sandwich, and eaten 12 McRibs at once. There’s also a McRib Locator that will point you to the nearest McDonald’s location that’s selling the sandwich. If you’ve never had a McRib before, or have been gleefully eating the sandwich without knowing exactly what’s in it, here’s what you need to know about the McRib’s nutritional info. What’s a McRib made out of? 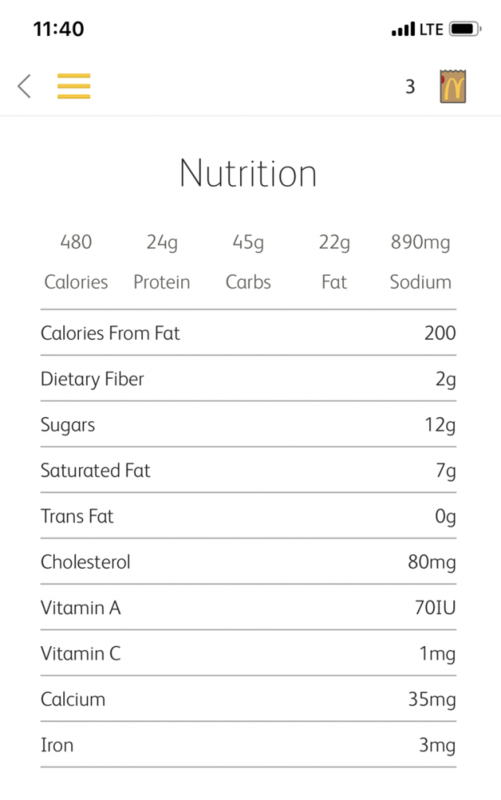 The McRib’s informational page on the McDonald’s site was down — maybe there were too many eager fans — so a McDonald’s rep sent screengrabs of the nutritional information via the McDonald’s mobile app. As for nutritional info, the McRib clocks in with 480 calories, 2o0 of them from fat. You’ll get 24 grams of protein from the sandwich, and 45 grams of carbs. The McRib also has 890 mg of sodium, 80 mg of cholesterol, and no trans fat. When it comes to calories, the McRib is pretty on par with other McDonald’s menu items, like the Big Mac’s 540 calories and the Filet-o-Fish’s 390 calories. With 45 grams of carbohydrates, the McRib isn’t going to jive with your keto diet — but overall, it’s certainly not among the worst fast food meals you could eat.